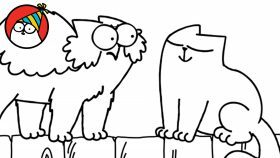 A romantic cat climbs to new heights in order to find a date.! Watch it here! 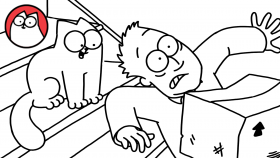 A mischievous cat likes to play a dangerous game with his owner on a staircase! Watch it here! 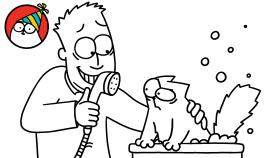 Simon’s Cat braces himself for a wet and windy Thanksgiving in this short and sweet SKETCH! 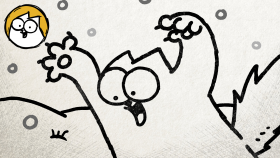 A competitive cat tries his paw at some Winter Games in our latest Christmas Special! Watch it here! 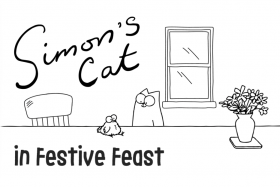 Simon’s Cat ‘bites off more than he can chew’ in our NEW Thanksgiving Special! Watch it here! 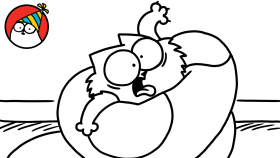 Kitten Vs Snake – who will win? Stay tuned for a collection of all SIX of our Halloween Specials! 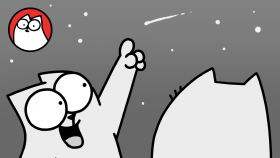 Simon’s Cat is seriously spooked by something in our Halloween Special! 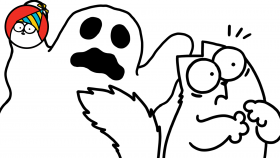 This year’s Halloween Special ‘Spooked’ was inspired by cats seemingly staring at something that isn’t there. Read more! 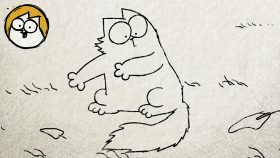 A cat draws on his primal instinct to go hunting, in our brand new series called ‘Simon’s Cat – Sketches’! 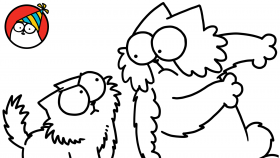 Simon’s Cat and little brother Kitten go paw to paw with Jazz in a final showdown. Who will win the fight? A relentless feline nemesis doesn’t know when to give up. Part 3 out next week! Watch the latest film here!